We are holding a FREE Childhood Immunization Clinic on Monday, April 22, 2019 from 3:00 p.m. to 6:00 p.m. at our Idaho Falls Office (1250 Hollipark Drive). For questions or to schedule an appointment, please call 208-533-3235. April is National STD Awareness Month. We are offering free and confidential STD and HIV tests during the month at all of our offices. Please click here for all of the details. 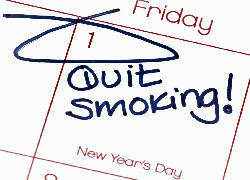 Quit Smoking as a New Year's Resolution? We Can Help! Please click here for a list of our Quit Smoking Classes. Please click here for Tips to Quit. Please click here for details about the Diapers for Quitting Program. Tooth decay is the most common chronic disease seen in children. Fluoride varnish helps prevent cavities by making the outer layer of teeth (enamel) harder and more resistant to decay. Eastern Idaho Public Health offers fluoride varnish at no cost to families. Click here for our upcoming fluoride varnish clinic dates. The WIC program is now offering WICSmart: a free nutrition education application. With this option low risk participants are able to take nutrition education online from the convenience of your home computer or on the go from your phone; limiting the number of visits to the WIC office. For more informaton, please contact your local WIC staff to see if you qualify.